Canadian Red Cross donation dollars add up quickly, and your vehicle donation through Donate a Car Canada is just one way to help global relief efforts. The Canadian Red Cross is known to most of us for their First Aid and CPR training through our schools and businesses. Their First Aid App is available through both the App Store, and Google Play, and this practical tool is just one aspect of their accessible programming for Canadians of all ages. This at-home approachability is just one aspect of the CRC’s long reach. Every day, in the news, sometimes on our own streets, we see unique and crisis-driven need that affected citizens are not necessarily equipped to handle alone. Relief and aid organizations like the Canadian Red Cross provide everything from international disaster relief following natural disasters to at-hand support right within our safe Canadian borders. Those engaged in International Operations with the CRC may find themselves offering physical relief through food and fresh water, or emotional and psychological support after a personal devastation. Their “Finding Family-Restoring Family” efforts reunite families torn apart by emergency circumstance. Their human rights advocacy touches lives impacted by violence and bullying. Strong backs and sturdy boots can contribute uniquely to their efforts, but a primary need is always the generous nickles, dimes, and dollars generated by charitable giving. Donate a Car Canada is receiving scrap and junk vehicle donations on behalf of the CRC ongoing. 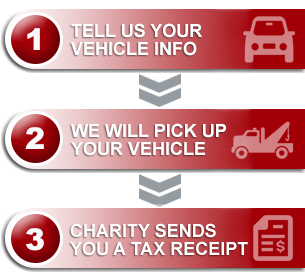 Donated cars, submitted by concerned Canadians from one end of the country to the other, resulted in thousands of dollars being forwarded to the charity’s important work each year. ‘Just one more way to contribute as we continue our efforts to best the $20,000 raised in the past 12 months! If you haven’t already had a recent visit to the Canadian Red Cross website, take a look at some of their current international work in bringing aid through health care, warm clothing, and food assistance in the world’s most troubled regions.